Puli Devar, First person in India to fight and win over the British. Velu Nachiyar The legendary Tamil warrior brothers stand as an epitome for bravery and courage in Tamil Nadu. Maruthu Pandiyar brothers, The legendary Tamil warrior brothers stand as an epitome for bravery and courage in Tamil Nadu. Pasumpon Muthuramalinga Thevar - Freedom fighter, social reformer, a descendant of Pandiya kings and known for his relationship with Nethaji. 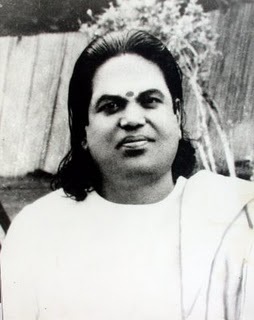 S. Thondaman - Leader of Indian Tamils of Sri Lanka and had served continuously for 21 years in the Sri Lankan Cabinet from 1978. Pandithurai Thevar - Founder of fourth Tamil Sangam. Vairamuthu - Famous Tamil poet and star lyricist. P.Sandrakantham - Famous Tamil Writer from Malaysia. Winner of Karikalan Awards 2009. S. Tamil Selvan - Writer, Secretary of Tamil Nadu Murpokku Ezhuthalar Sangam. Pon. Muthuramalingam, B.A, B.L, Ex-Minister. Rama.Subhuram B.Sc (M.L.A Thirumayam ). Thiru. R. Arumugam, I.A.S.was the first Collector of Tuticorin District. Late Shri. Bhaskara Thondaiman, I.A.S. N.Balabhaskar, I.A.S., current Finance secretary, Ministry of External Affairs, Government of India, son of Shri. V.K.C.Natarajan I.A.S. Malaichamy, I.A.S, also served as State Election commission officer in India. Late P. S. Ganesan BA (FIS) Joint Director of Survey & Land Records, Chepauk Chennai 600005. Vaira.Ramamurthy Meleperumalai, Managing Director Chennai Trading and Supermart Ltd, Chennai Arya Restaurant Singapore. Cholan Muthukumarasamy, BE, MSIE, MBA, Director, Coherent, Inc., Portland, Oregon, USA. Shivaji Ganesan, the legendary Indian actor and internationally acclaimed cinema artist from Tamil cinema industry, popularly known as Nadigar Thilagam Shivaji Ganesan. Director Bala National award winner for best direction for the movie "Nan Kadavul"
Rajesh is not ambalakar.. he's a Kallar community and i know him very well. Even Vijay sethupathy is from Telugu family. Rajesh is from Anakad, Tanjore. He is kallar 100% , he is my relative. Great infos.but our community does not have unity among us. The name sethupathi belongs to ramnad and belongs only to Thevar :) No idea about kumarasamy! Rajkumar sethupathi husband of sripriya & producer of papanasam is from thevar community and he is also brother of Latha (wife of MGR) he is son of raja of ramnad! I m not from Thevar community nor I m a tamizhan, m just an ordinary Indian boy. I did my u.g in chennai. My name is Amit, 5 years back i joined in a engg college in chennai though i was in chennai from 16 years. I met a girl "Gayathri". She is frm Thevar community, we became frnds n den we were in love. We always had a dream of hving a happy life 2gether. 7 mnths bak wen she told abt our rltnship 2 her parents, she was beaten up badly n was forcefuly engaged to some 1 else. Since we hv no communication. If we maintain unity among us, then we will be the king makers of Tamil Nadu!! We have lots of well known people from our community. But in reality we are hiding our identity once we reached higher level!! Common DEVAR KALEY lets unite for our community. Yes 100% akka is namma aalu. Can't believe this..even after years after independence talking about caste and politics..and talking about having criminals on your side. If you really have a trust do some activities to improve whatever community you belong to.. Do Not ruin our country's name. actor ilavarasu Kallar samuthayam living madurai district MELUR taluk..
V.Theivendran, Chief Engineer, Head of the Department of Agricultural Engineering, Tamilnadu Government. Great Opportunity for my business Interior Designs In Chennai & Modular Kitchen in Chennai. I need support to approval the comment some people view our business.